Doug steals Brad Carver’s schtick. 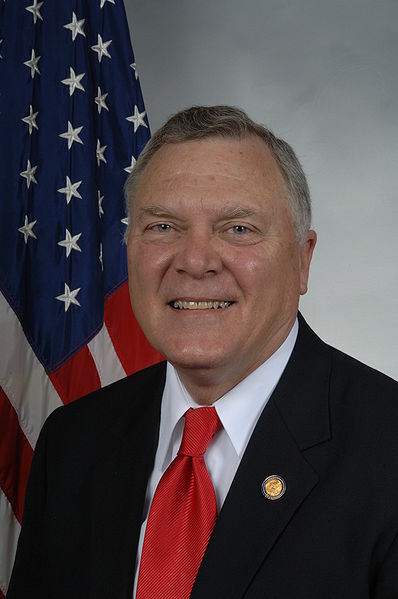 This month, I have a renewed appreciation for the governor of Georgia, the Honorable Nathan Deal. Put aside his politics. Put aside his cronies or his ethics or his handlers. Face to face, Deal is my kind of guy. Especially after my encounter with Bill Haslam, the governor of Tennessee. 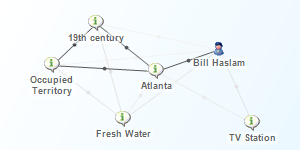 I had spent weeks tracking Haslam, hoping to catch him in Chattanooga, the Tennessee town most within reach of Atlanta. His press secretary told me to keep an eye on his website, where his public schedule is posted. Finally, there was a Chattanooga visit: Thursday July 11 at 12:15pm at a community college. I emailed the press secretary, verified the time, and told him my subject matter: The little border dispute between Georgia and Tennessee, rooted in Georgia’s desire to access the Tennessee River. 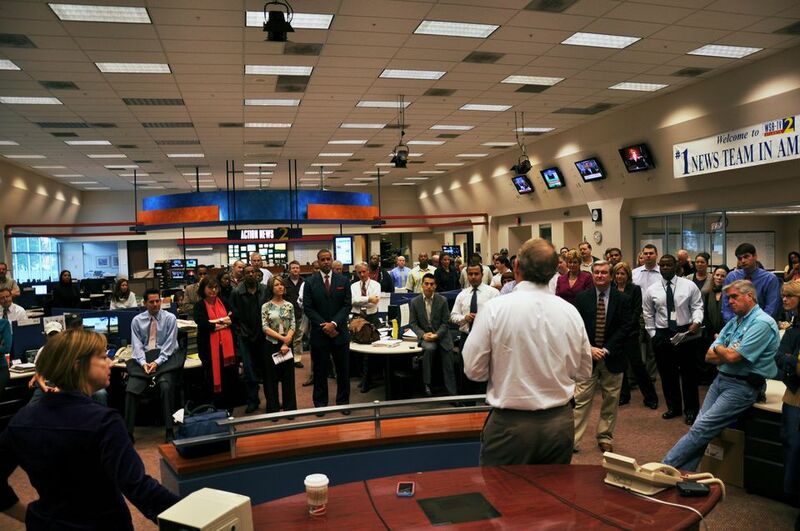 “See you then,” wrote back press guy Dave Smith. I checked the online schedule, which showed another stop at 2:45, about an hour toward Knoxville. By this time, my 6pm deadline was shot to hell. Photog Mike Zakel drove us up I-75 to Decatur, Tennessee — a town with a Piggly Wiggly store, a Mexican restaurant, an abundance of American flags on Main St. and not a whole lot else. Haslam showed up — on time — at the electrical cooperative. He presented an oversized check for sewage plant repairs, gripped and grinned, then exited toward Zakel’s camera. 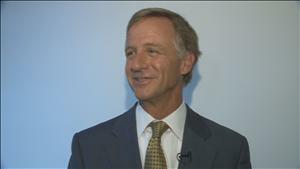 “We like (the border) the way it is,” Haslam said, unremarkably. He is affable and likeable, a nice man, with an easy manner. But his manner was too easy for my liking, especially after the day I’d had trying to get an interview with him. A surveyor’s error mislaid the border in 1818, I remind him. Does Georgia’s position — that the border is several hundred yards too far south — have any legitimacy at all? “Well, we offered to trade ’em for the Braves or Stone Mountain. But they didn’t.” He laughed uncomfortably. “I’m teasing,” he added, by way of clarification. He made a funny! He might ought to get some hilarity tips from Rep. Hank Johnson (D-Georgia). Tennessee is in the driver’s seat on this issue, so Haslam’s nonchalance is somewhat understandable. Georgia has squawked about the border for more than a century. But it’s never made a serious run at the issue, either politically or in the courts. Maybe Gov. Deal would have given the same what-me-worry type answer. But typically, Deal gives very thoughtful and nuanced answers to questions that are spontaneously fired at him during press scrums. I’m constantly impressed by Deal’s machine-like ability to speak in complete and often complex sentences, with few of the “uhm” and “ehr”s you hear in normal conversation. Deal turns 71 in August. Haslam is 54. My subject matter with Haslam had a measure of complexity– mixing science, history and “riparian water rights,” a term I avoided in my story. I certainly didn’t expect Haslam to concede anything. But I had a naive hope that I’d get at least one thoughtful answer. Especially after the runaround I’d gotten — for which Mr. Smith profusely apologized. Say what you will about Deal’s staff, but they’re pretty buttoned down. I don’t think they would have botched a schedule entry on the internet or disregarded details in an email confirmation. If they’d wanted to shake me off, they would have been much more cunning. And Deal would have given me at least one thoughtful and articulate answer. Like I say: My kind of guy. Our story turned out OK; I’d give it a B minus. (The link includes the unedited interview). A blogger with The Nashville Tennesseean picked it up, made fun of it (again, with a series of dumb jokes poking fun at Georgia’s silly claim to Tennessee turf) and for good measure, identified me as a reporter with “Atlanta station ACTION 11.” Other bloggers in Tennessee picked it up; one even concocted the quirky map-like graphic above. One guy who was in the room with us uploaded cell phone video of my entire interview with Haslam, which lasted less than three minutes before Smith shooshed him along to his next stop. The story included a piece of schtick that I flat-out stole from Brad Carver. He’s a public policy lawyer who helped guide the resolution though the legislature that threatens to challenge the border in court. Carver told me he put a golf ball on a tee at the state line, and hit the ball into Nickajack Lake — to demonstrate the scant distance between the current state line, and the water source Georgia craves, located in the disputed territory. Carver did it for a documentary (I haven’t seen it). I stole it, and successfully duplicated it in spite of my poor golf skills. Many thanks to Mr. Carver. This entry was posted in blogs, WXIA on July 22, 2013 by live apt fire. Unlike Haslam, Deal spent some years in Congress refining the art of double-speak. That’s why so few “uhm’s” and “ehr’s”. Why, I bet he could actually commit an act of mendacity without blinking an eye…or the other eye for that matter. I know you probably didn’t want to hear this but I felt obliged to clear the air. Deal and Haslam are cut from the same cloth. Deal’s happens to be silk; Haslam’s, brushed cotton. I think posting a link to your stories on Facebook is a good idea. More folks will sample Liveapartmentfire and readership will go up. Did you hit driver or three wood? Four iron. I have zero accuracy with a driver. Close observers might quibble with the shot of the ball dropping into the water, which was shot separately. But I did hit the water with the first four-iron shot I took, then wasted a half dozen additional balls getting cut shots that we never used. Gov Haslam’s use of humor to avoid answering your questions was probably due to an underlying recognition that GA really is right on the merits of the issues.